Hello Guys, AS we know as Samsung release Marshmallow firmware for Galaxy J7 device and In this post we are talking about How to Update Galaxy J7 to Android 6.0 Marshmallow Official firmware using FOTA Auto update and ODIN Manual Update. You can Root Galaxy J7 and Install TWRP Recovery in Marshmallow firmware. Make A Backup of your Personal Data, Contact, WhatsApp Chat, and internal storage, because there is no guarantee of keeping the data. 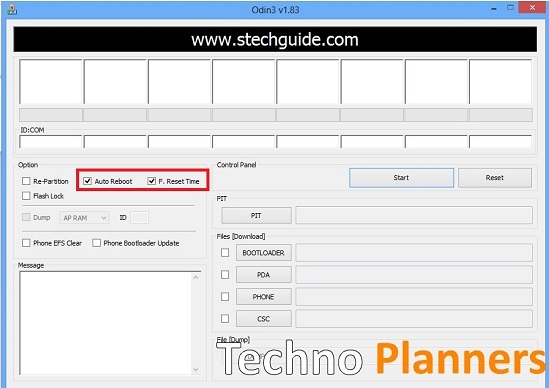 FOTA Update is Not working for ROOT/Custom Recover users, So use manual ODIN Method. After Update Install it on your device. Download marshmallow firmware, USB Drivers and ODIN file from the end of the post. Now add the firmware ‘.tar‘ file to the PDA tab in Odin. Make sure that only these two options are tick “Auto Reboot” and “F.Reset Time“. Now click on ‘Start‘ button and it will start flashing the file. Wait until you see ‘Pass‘ in Green Color on Odin screen. Congratulation, Now you can taste Marshmallow sweat on your SAMSUNG Galaxy J7. Share this tutorial with your friends, Comment down below if you have any question. Before you Go read about How to Install Android N Boot animation on Any Android you can also install it on your Galaxy J7 for free.